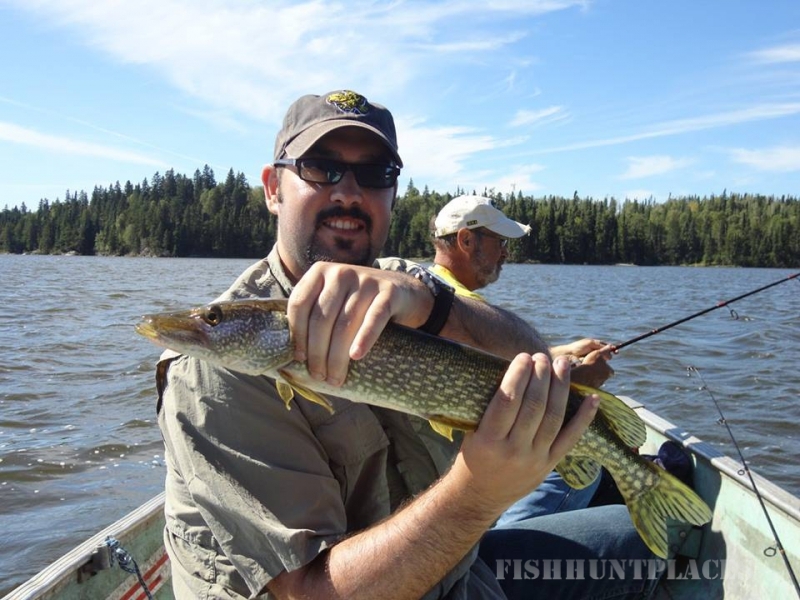 Fishing in Canada Ontario Gold Arrow Camp Ltd. 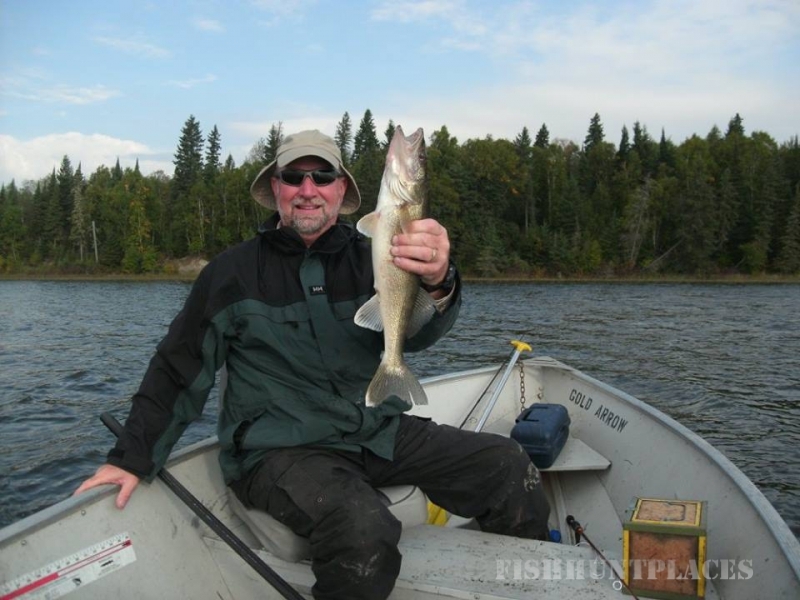 Fishing in : Canada : Ontario : Gold Arrow Camp Ltd.
Gold Arrow has boats on 28 different lakes, all within close driving distance of camp. On most you can drive right up to your boat. Only one lake has a resort. The others don’t even have a cabin, so it won’t be crowded, and when you find a good fishing spot – it’s all yours. 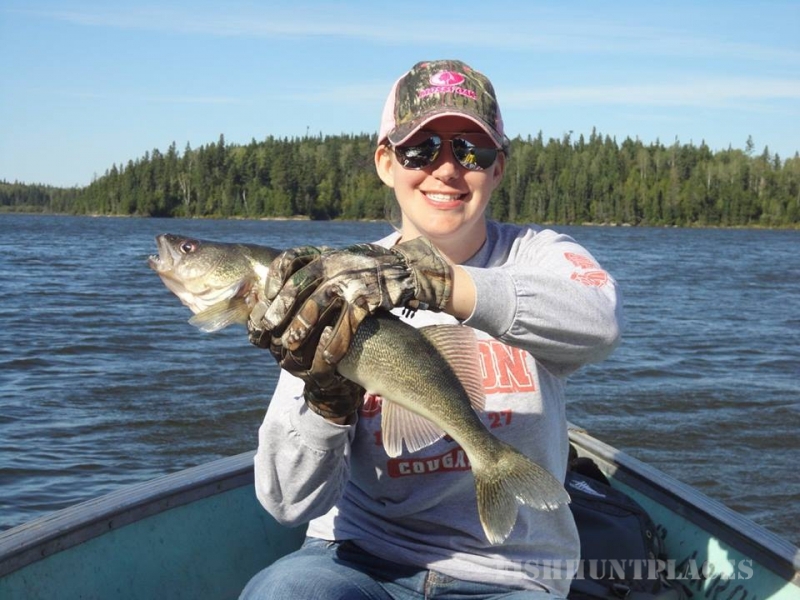 The majority of our lakes are very good Walleye and Northern lakes, and many offer excellent Lake Trout, Muskie, Smallmouth Bass and Perch fishing. 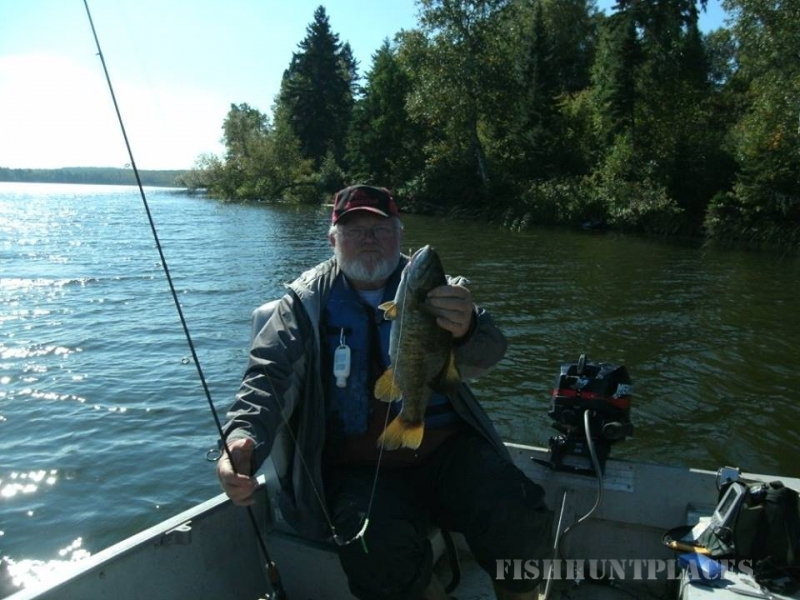 The lakes we fish vary in size from two to three miles long, and one–half to three–quarter miles wide. They range in depth from 20 to 125 feet deep with countless weed beds, rock reefs and drop–offs. The water color varies from gin clear to amber. These are the kinds of lakes fishermen’s dreams are made of. They are here awaiting your arrival. For those who enjoy even greater adventure, there are streams that you can follow by boat to a number of other remote, seldom fished lakes. Many times this little added effort is well worth it. For those who still need further remoteness, we have walk–in lakes and portage lakes. Traveling from one lake to another is only a short distance by following a well maintained trail. There will be a boat waiting for you on the other end of the trail. By no means is this necessary to catch fish, it is simply available for those with a spirit for adventure. None of these lakes are so large that it is necessary to have a guide to keep from getting lost or to find fish. Here at Gold Arrow, we have no secrets. 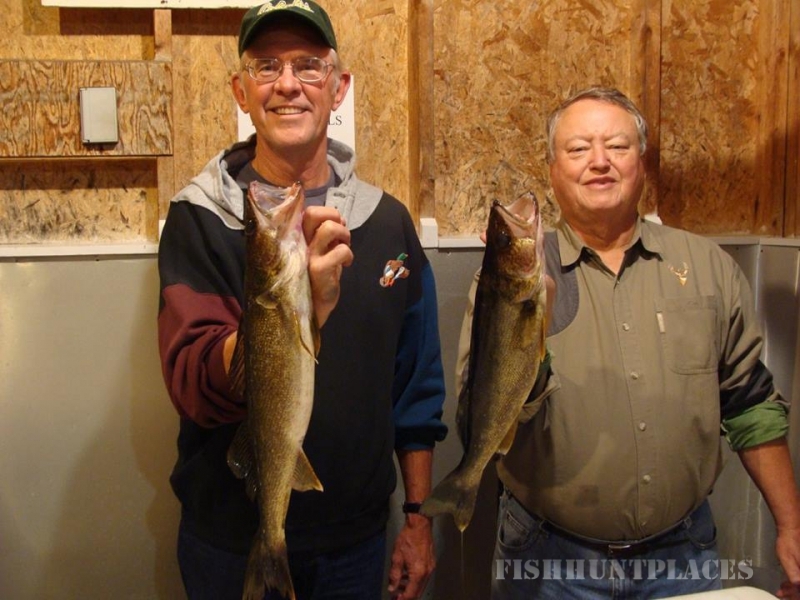 When it comes to giving out information on fishing we not only provide you with good maps of each lake, but will personally go over all aspects of any lake. 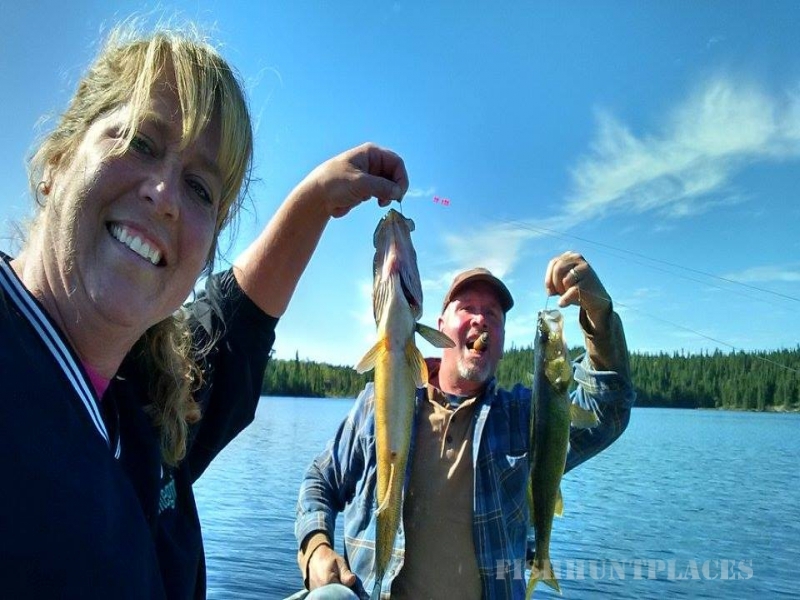 We show you not only the best places to fish, but also the best baits to use in order to make your fishing vacation a personal success. 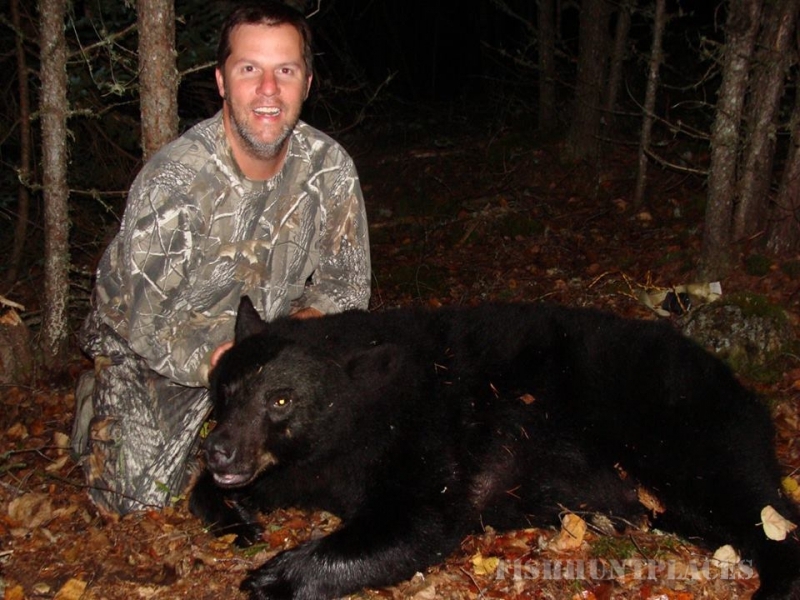 Over 25 years of personal bear hunting experience is what you will draw on at Gold Arrow. Our success comes from knowing the area we hunt, knowing the primary habits of the bear and a lot of persistent preparation prior to your arrival. Our hunter’s high success rate reflects this experience. First and foremost, this is not a do–it–yourself style hunt. We personally do all the baiting before and after your arrival. 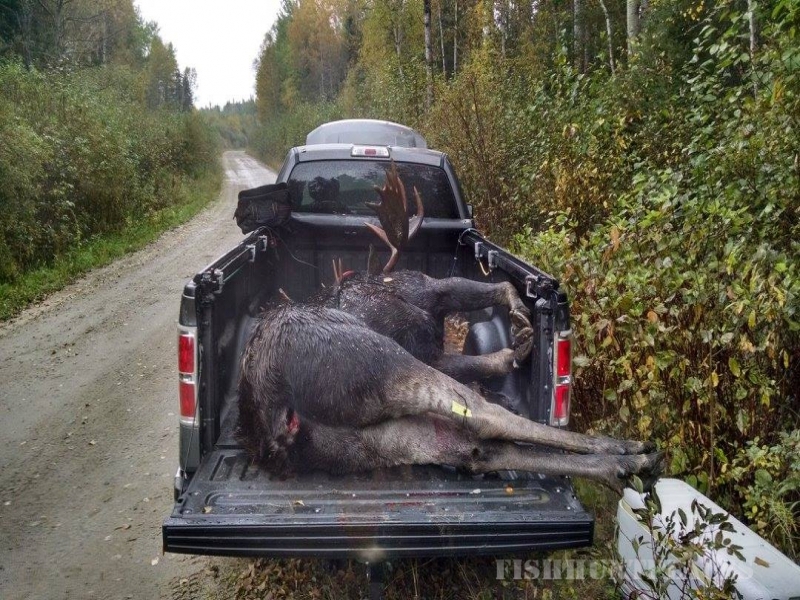 After all, you’re here to hunt, not do the outfitter’s work. All hunting is done from elevated stands that we furnish. 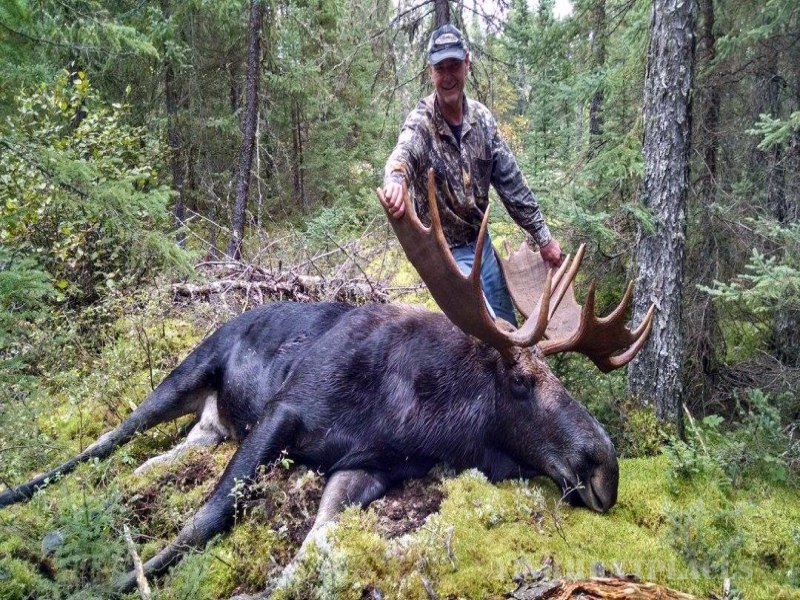 Only a limited number of hunters are taken each fall to provide each hunter the personal attention they deserve. It's a simple formula: Experience + Preparation = Successful Hunt. In an typical year, we'll obtain an 85% or higher success ratio. You'll find some superb Grouse Hunting here. Our pine forest has a generous sprinkling of white poplar, birch trees and a lush ground cover which produces an unbelievable number of Ruffed and Spruce Grouse each year. 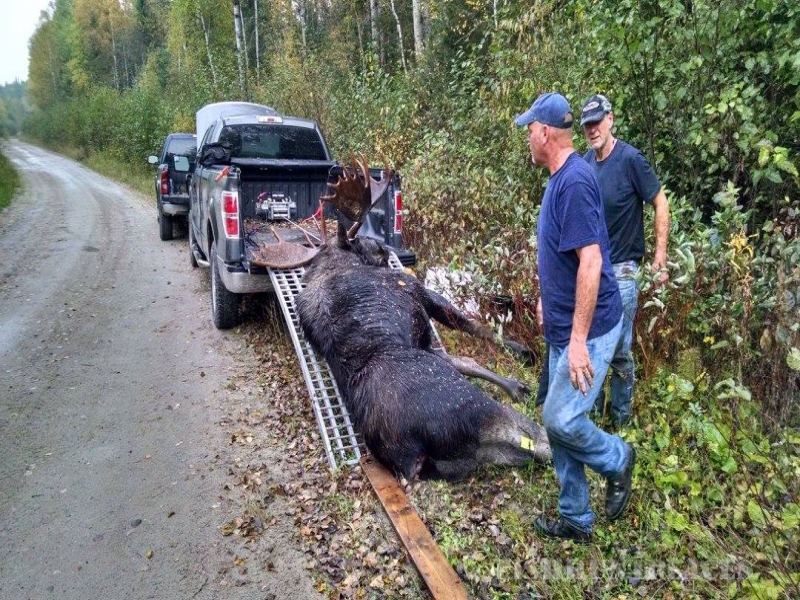 We have miles and miles of logging roads and trails to hunt. 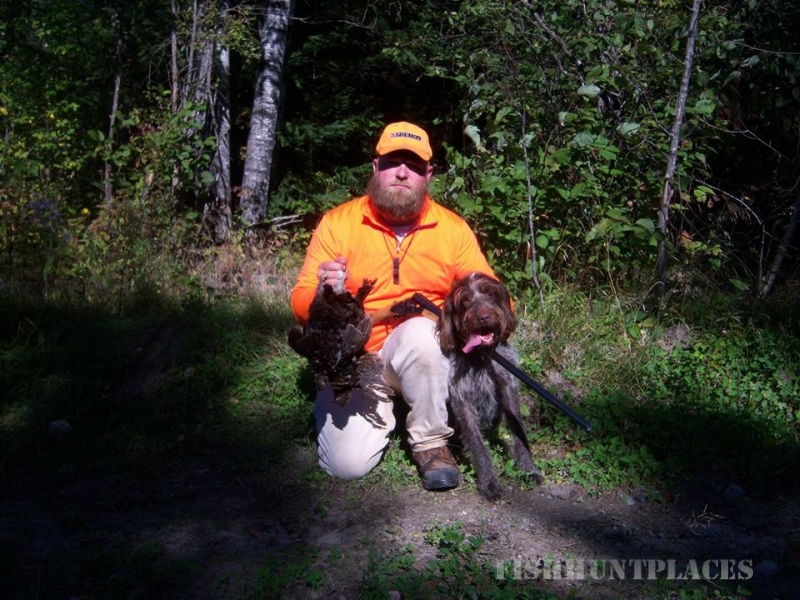 A hunting dog is absolutely not a necessity to bag your limit, but if you usually hunt with your dog and choose to bring it along, you’ll find our grouse hunting beyond anything you could have ever imagined. We don’t talk in terms of a grouse at Gold Arrow, we talk limits. 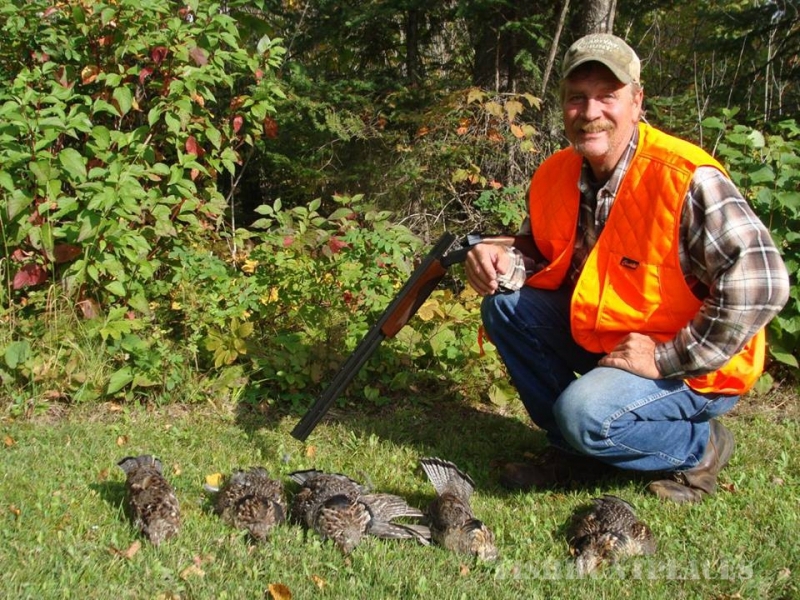 Many times your limit of five birds per day can come from the first covey encountered. If you would like to experience the superb grouse hunting of our area, plan to be at our resort during the last two weeks of September. Season opens September 15 with a possession limit of 15 birds. 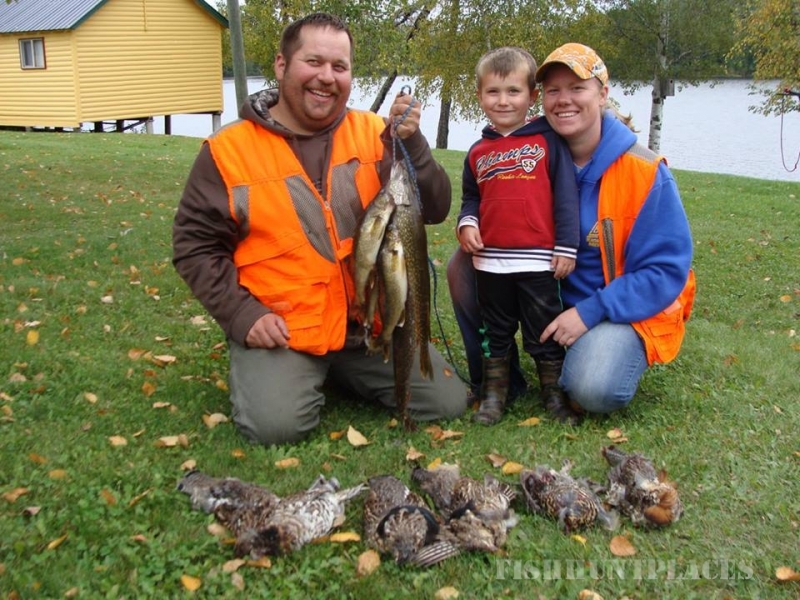 Mix this spectacular hunting with some great fall fishing and you have the ingredients for an unforgettable vacation.